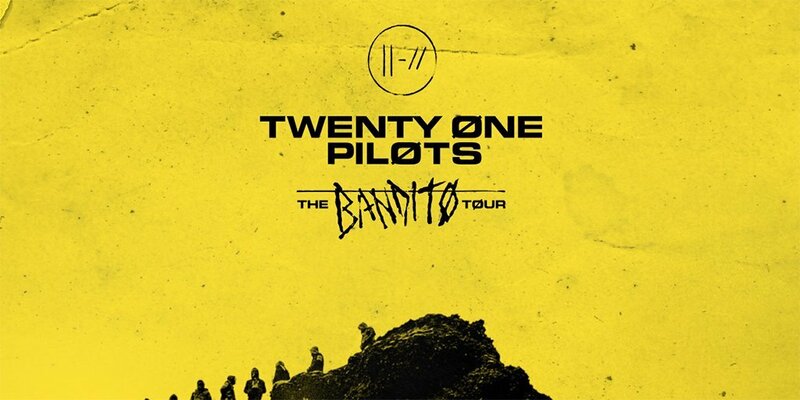 Tickets for the Twenty One Pilots Bandito Tour are on sale! As a big selling group you can bet that a ton of people are going to try to get tickets, so you want every advantage you can possibly get right? Below we offer tips on how to make sure you can be some of the first to get tickets to any of their shows. Presales for Twenty One Pilots will only be given to a select number of people who register for Ticketmaster Verified Fan. Registration is closed. The earlier you sign up for verified fan, the better your chance might be to get a unique code. Not everyone will get a code, so the earlier you sign up the better! For any other exclusive news concerning the onsale or any other news concerning Twenty One Pilots we suggest you sign up for the newsletter to start hearing about special offers. Here is the website, where you can subscribe and find out more about the group. Don’t have a Ticketmaster account? Get one! Checkout will go by much faster if you’ve already got everything set up. Make sure you get to the presale/onsale early so you can be ready to refresh your page when it starts. It’s time! Enter your presale code, select a ticket type and join all the others who are fighting for tickets! Something to note: Some (and by some we meant not many) shows on Ticketmaster may mention something about credit card entry in the description. This is a good sign, that means you will have a better chance to get those seats over all the brokers who are also trying to get tickets since some will avoid credit card entry tickets. What is credit card entry you ask? It’s the same thing as paperless tickets! Basically, the credit card that you used to buy your seats is your ticket. All you’ll need to do is present your credit card at the entrance with your ID and they’ll give you your seating information as you go in. Simple as that! Okay, it’s time to talk about what happens if you aren’t able to get tickets. You got to the onsale on time and you ended up without tickets… what are you to do? Luckily there is this handy website where you can purchase tickets cheaper than most other ticket resell sites out there. It’s called SuperSeats and it may just save you when you think all the tickets are gone. And if you give them the code: CRUSADER upon checkout you’ll get a nice little discount! That’s pretty much it, any other advice we have is to be early to the onsale and be completely ready when the time comes, because when it does, you’ll have to be quick to get what you want.